Have you been looking to replace traditional tile-and-tray showers with a modern alternative that doesn’t leak, doesn’t discolour, and doesn’t need regular upkeep? 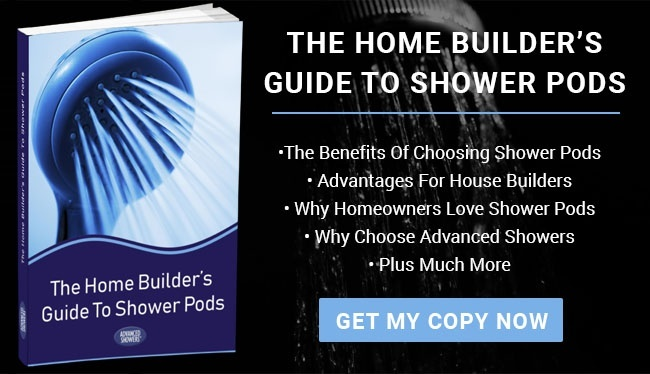 If so, the variety of shower pods offered by Advanced Showers could be exactly what you’re looking for. Let’s have a look at 3 specific benefits of these moulded units in order to fully appreciate what they have to offer. Our shower pods are watertight, due to their innovative design. Not only is the moulded glass-reinforced polymer built to last, but its design ensures that no leaks develop with long term use. The 3 sections of the pod are fitted with a flexible neoprene gasket and bolted together for a completely leak-proof solution. 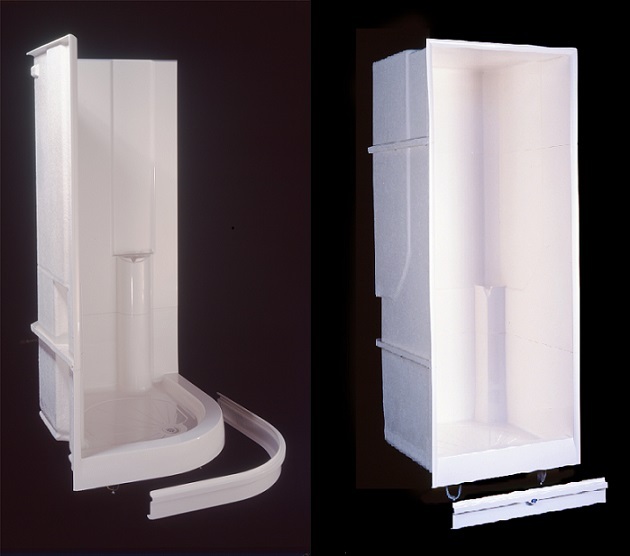 Shower pods are made from lightweight fibreglass leading to a quicker overall installation. A traditional tile-and-tray shower requires 3-4 different tradespeople, each one dealing with a different aspect of installation. A shower pod is lightweight enough to be transported and installed by one person by simply fitting the 3 sections together. This will save time as well as money. Due to the porous nature of grout, standard shower enclosures will require a substantial amount of maintenance if you hope to avoid any problems. However, leaks and loose tiles are still likely to occur with time. 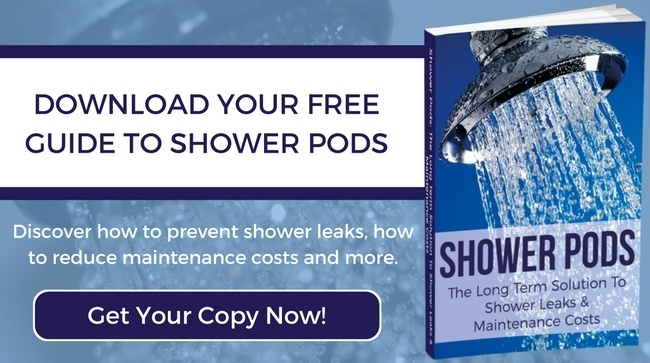 Our shower pods require no maintenance and their integrity will never be compromised. Our units can be expected to last between 15 and 25 years, with no additional cost in breakdowns or repairs. Find out more about the benefits of our shower pods for different types of build and if they are suitable for your project. We are confident you’ll be pleasantly surprised at how they measure up to conventional showers. Call 01483 532020 today to speak to one of our design specialists.